Annie Sloan Chalk Paint and me…..
My best friend, Cindy, introduced me to Annie Sloan chalk paint. She gave me a partial can of Paris Grey. It took me awhile to find something to paint with it. 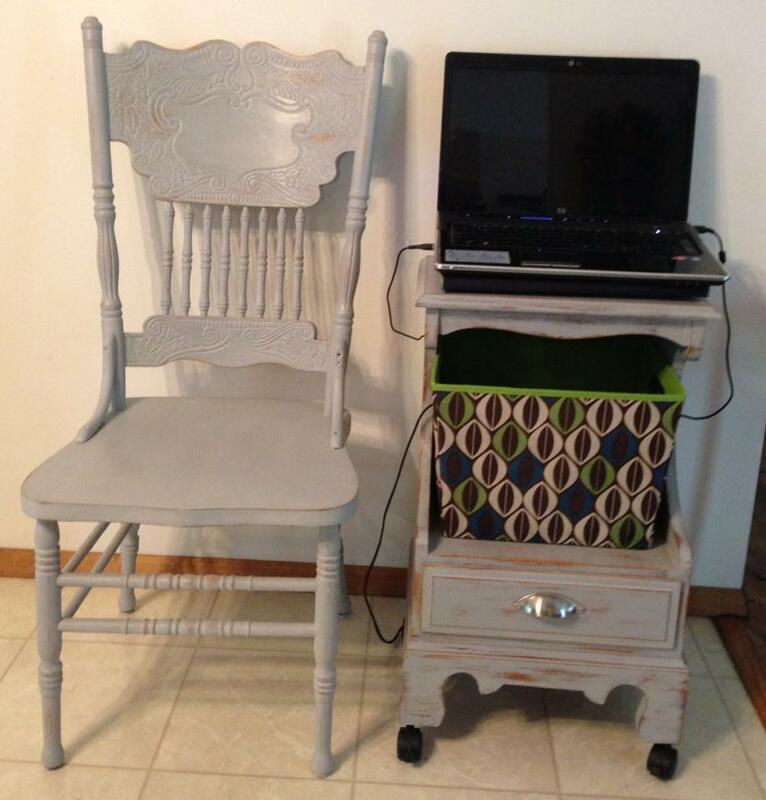 I had never heard of chalk paint before, but Cindy had been using it for awhile and loved it! When I finally tried it out…..wow! I was hooked. Cindy couldn’t believe it took me so long. I can’t either! I have since created several projects. 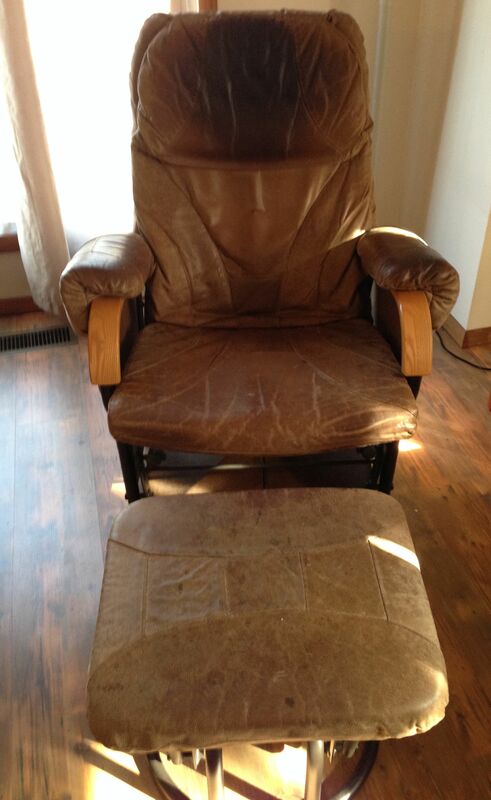 The latest…… painting an old leather glider and ottoman I have had for years. I was getting ready to throw it out, but my husband, who has seen the success we’ve had with Annie Sloan said I should try painting it. I had read that you could paint fabric, even leather with Annie Sloan so I thought I’d give it a try. My inspiration was this beautiful painted and stenciled upholstered sofa. I gave the glider and ottoman two coats of Annie Sloan chalk paint in Paris Grey (you can tell I love my Paris Grey) and then two coats of Annie Sloan clear wax. I buffed them to a nice luster and they turned out great! 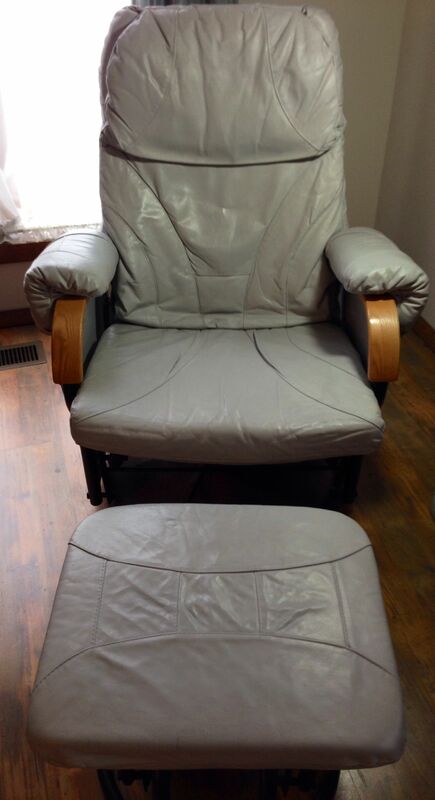 Not only do they look good, but we thought the glider wouldn’t recline anymore. It seems that when my husband was looking at it to see if he could remove the recliner handle….he found it was just loose. Imagine that. Click on the photos below for a larger view. I’d like to give a big shout out to the ladies at NettieSuze Home Decor, a retail store near me that carries Annie Sloan products. They were a big help in getting me started on this project. Their suggestion for painting leather was to dip the brush in water, then into the paint (poured into another container). This thinned the paint out just enough for it to glide on smoothly. 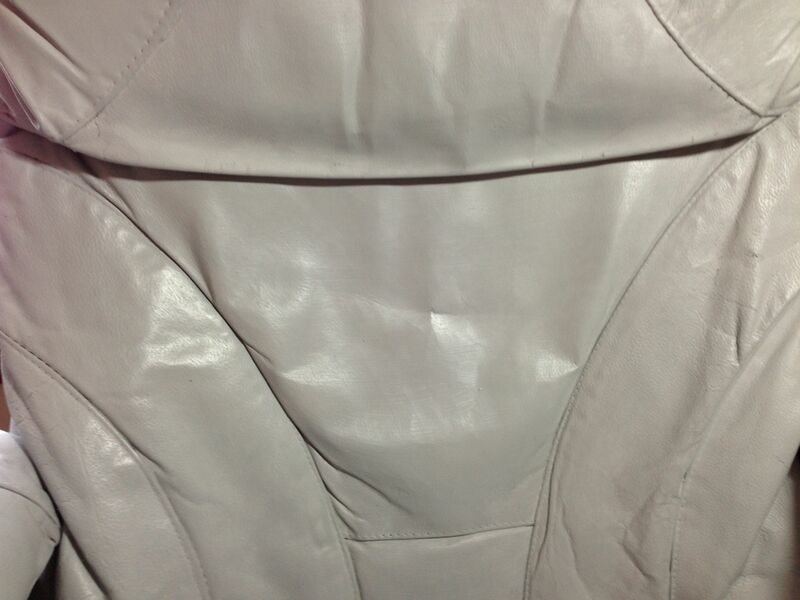 They also suggested making sure I cleaned the leather well with mild soap and water first. My first project was making a laptop stand using an old nightstand. Then came painting a chair to go with it. 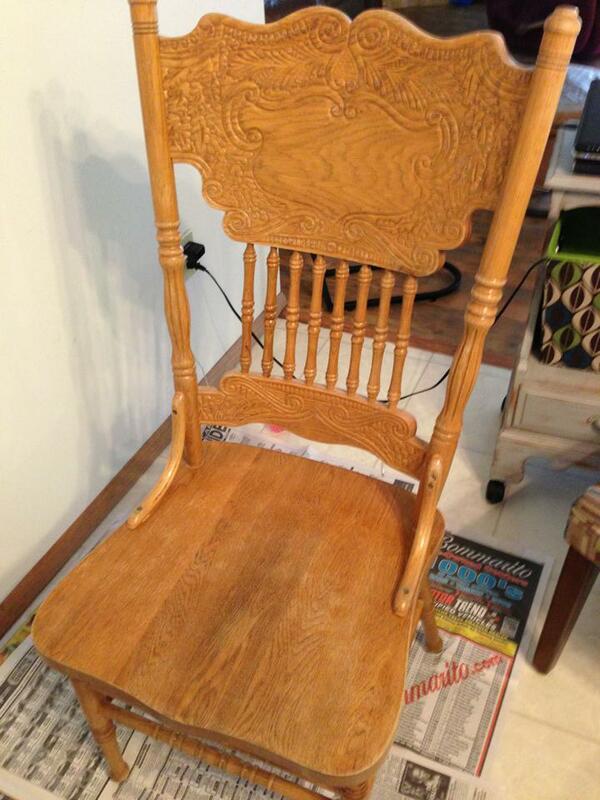 You can see the luster in the finish of the chair after using the wax. The longer the wax cures on the paint, the harder the surface. 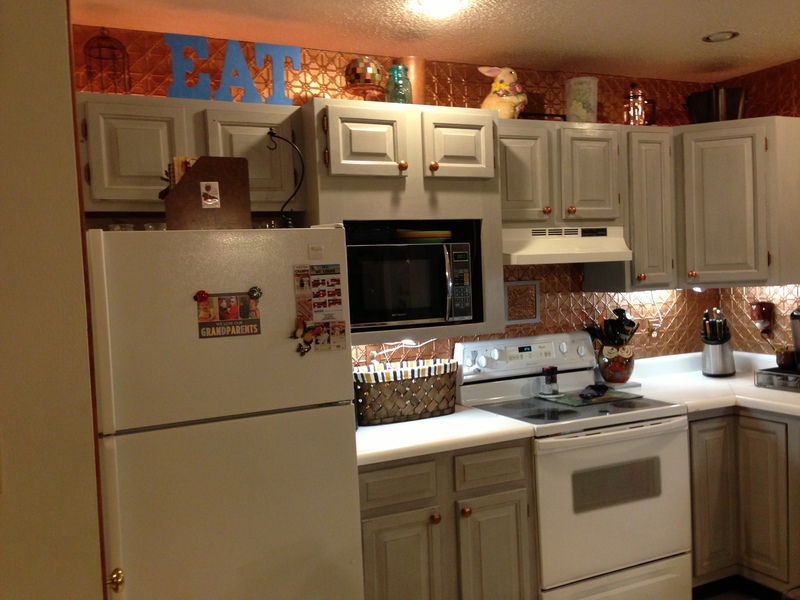 After experiencing the ease of painting with Annie Sloan chalk paint and loving the Paris Grey, I took the plunge and painted my kitchen cabinets. I was so excited to find an Annie Sloan retailer so close as I had to buy more paint and wax. 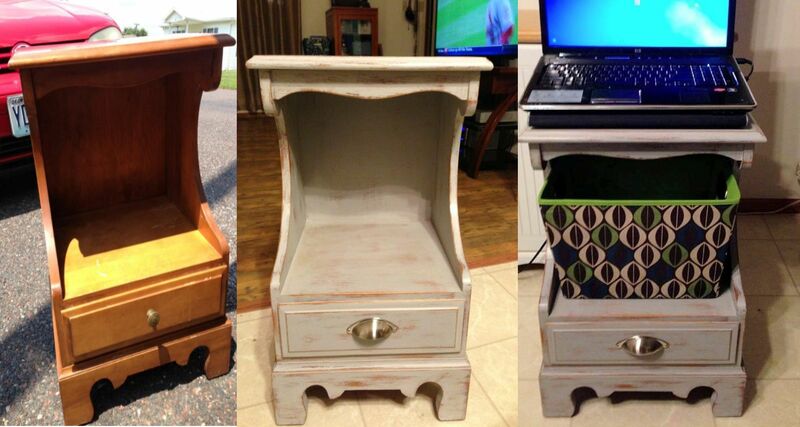 You may think Annie Sloan chalk paint is too expensive at almost $40 a quart, but it goes a long way. I painted all the cabinets in my kitchen (3 coats) with just about 1 1/2 quarts of paint and about one can of clear wax (1 coat). I used an electric buffer on the wax. 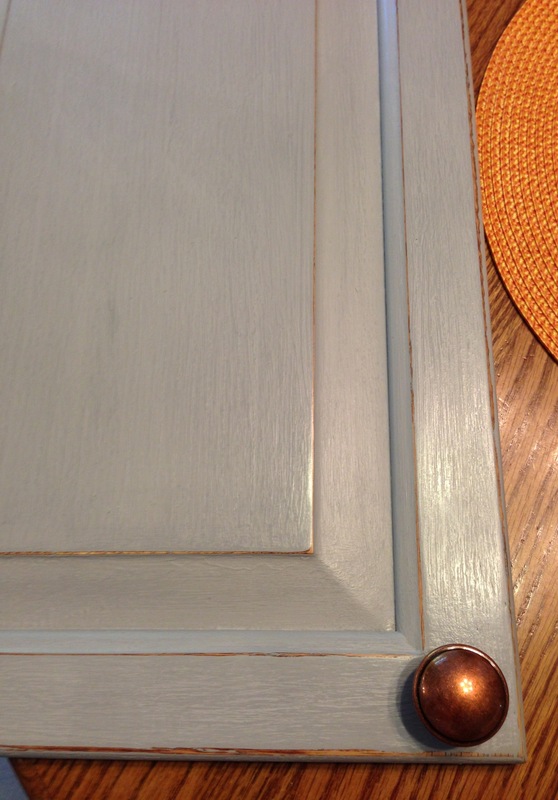 I did no sanding or priming on the cabinets…..one of the most awesome things about Annie Sloan chalk paint. I did run into a little problem on the cabinets by the stove with some bleed through. I’m not sure if it was grease from the stove that I didn’t get cleaned off or from Old English furniture polish that I didn’t get all removed, but found that a coat of Zinsser Bulls Eye clear Shellac (a recommendation I found on the Internet) took care of it and it dried in about 15 minutes. 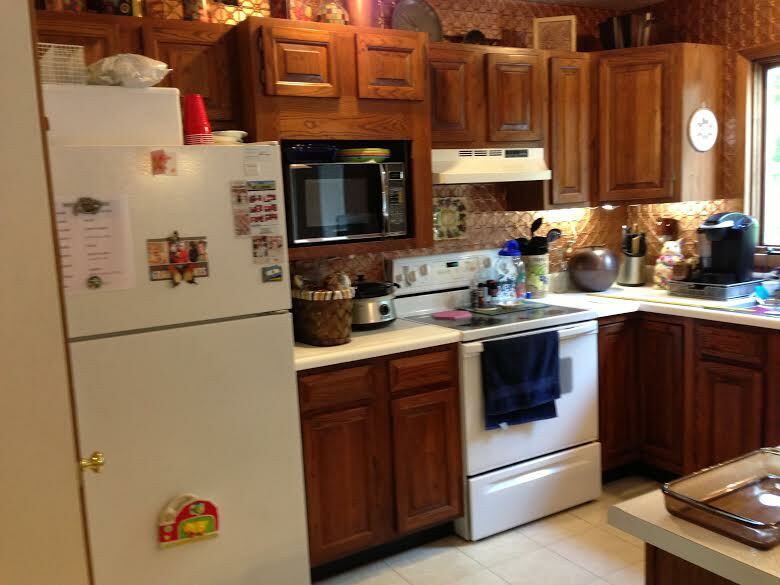 I’m still loving my kitchen cabinets. It is like having a whole new kitchen for less than $150. I then wanted a new countertop. 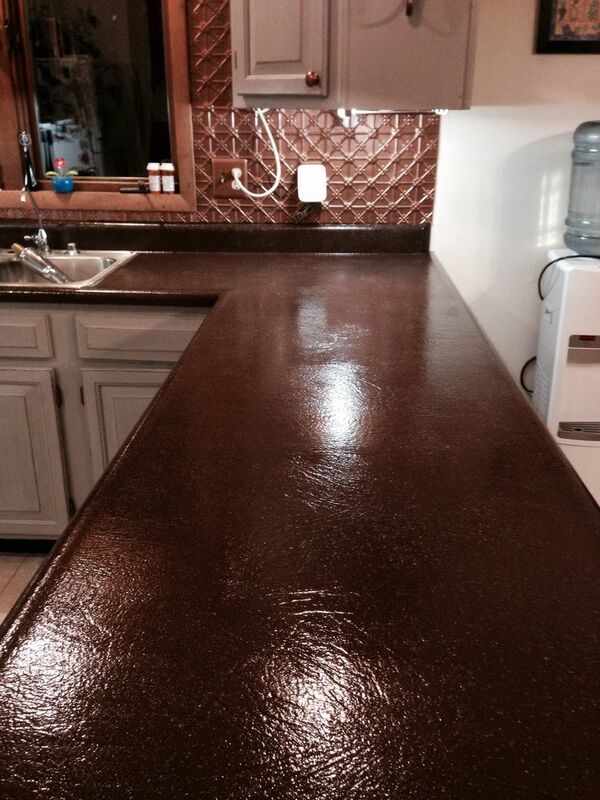 My countertop was the very ugly white leather look formica. After pricing granite and even new formica, I researched DIY finishes and found something I could do myself. 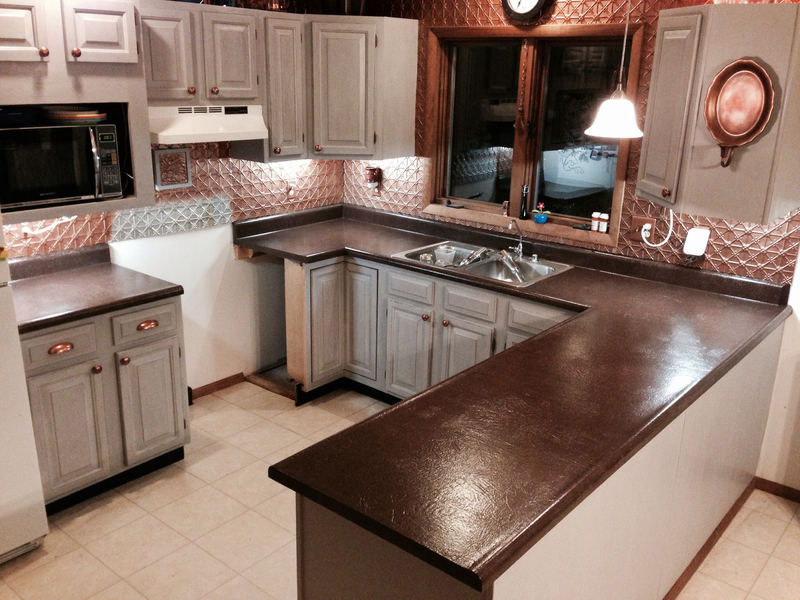 Using Spreadstone Countertop Refinishing Kit, for $125.00 I had new counters with plenty left over for a future project. My Pinterest board that explains more about the countertop. Did I mention how much I love Annie Sloan chalk paint? Who knows what I’ll try next? I’m thinking I need to paint some throw pillows for my new couch. I might even stencil a design on them, using a stencil created with my Silhouette Studio machine. Or maybe a painted canvas rug…..